SCE is asking customers to help conserve energy to relieve stress on the overall electrical grid. Imagine if you left your car running for several continuous days in temperatures that reached as high as 110 degrees and stayed above 90 degrees. With no chance to cool off, your car would break down. Like your car, electrical equipment can suffer the same fate, resulting in increased outages. 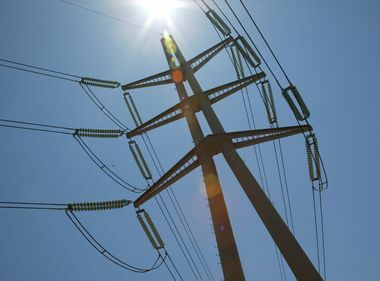 With a record heat wave now entering its second straight weekend in the Southland, Southern California Edison is asking customers to help conserve energy to reduce the overall stress on the electrical grid. “Our crews have been working around the clock to repair any additional power outages and are ready for the predicted Labor Day weekend heat,” said Tony Edeson, SCE director of Transmission, who is leading the response to the current heat wave. “Customers can help reduce the stress on the grid by conserving energy immediately. “SCE continues to identify outages, make repairs and prioritize restoring electrical service beginning with customers without service the longest." “SCE continues to identify outages, make repairs and prioritize restoring electrical service beginning with customers without service the longest,” he added. In addition to setting thermostats to 78 degrees or higher, customers can reduce heat by keeping their blinds closed and using fans to help keep cool. 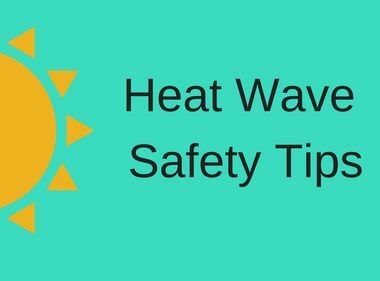 Keep an eye out for neighbors, especially the elderly or those customers relying on medical equipment, and look out for signs of heat illness such as nausea, dizziness or severe headaches. SCE crews have been working day and night shifts to make repairs to electrical equipment during this record heat. So far, crews have replaced more than 200 transformers, 30 poles and 120 spans of wire throughout the utility’s 50,000-square-mile service territory. The National Weather Service has issued an excessive heat warning through Saturday. Record high temperatures are expected in the Inland Empire and desert areas and monsoonal thunderstorms are likely for the deserts, mountains and the Inland Empire through the weekend. 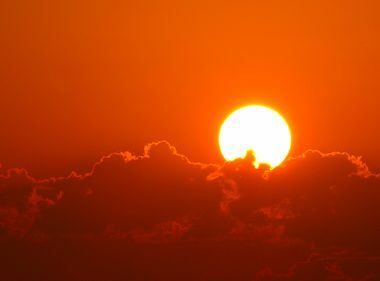 With excessive heat over several days, the California Independent System Operator has so far called two Flex Alerts — an immediate call for voluntary energy conservation — this week. Customers in SCE's territory had an all-time peak in energy demand of 23,508 megawatts on Wednesday. The last record was in 2007 at 23,303 MW. Operate swimming pool equipment and energy-intensive appliances, such as dishwashers, washing machines and dryers, during early-morning and late-evening hours. Signs on heat illness include: nausea, dizziness, fainting, paleness, severe headaches, thirst, weakness or unusual fatigue, irrational behavior, profuse sweating or no sweating. Wear light-colored, loose-fitting, breathable clothing such as cotton. Avoid synthetic fabrics. Apply water-resistant sunscreen (SPF 30 or higher). Schedule your heavy work during the coolest part of the day and take adequate rest breaks. Don’t wait until you are thirsty to drink water. Drink cool, fresh water throughout the day (four, 8-ounce cups per hour). Choose water over caffeinated drinks. Stay away from downed wires. If you see a wire down, call 911. If you are using generators, do not run them inside your home. There is a danger of carbon monoxide poisoning from generators used indoors. Plug appliances directly into the generator, do not plug the generator into the 220v line, as this could cause backfeed which could electrocute crews working on the lines. Stay away from crews working in or around lines or vehicles. They are working as quickly as possible and they should not be distracted from this dangerous work.